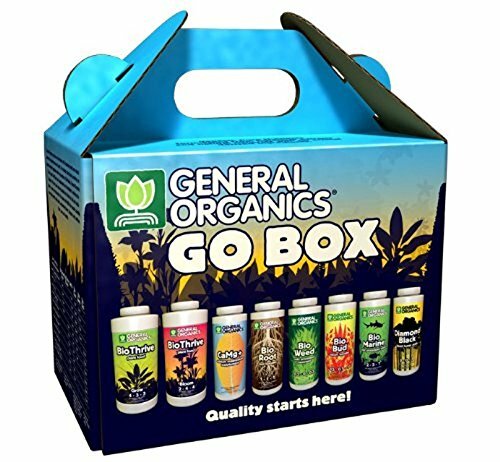 In this article, we’ll be giving our 2018 review of the very popular General Hydroponics General Organics Go Box. We’ll be covering mini-reviews of each of the products that come inside it, just in case you might decide to purchase those separately. The General Hydroponics General Organics Go Box just proves that you can have the best things in life in one organized, neat package. What is ultimately splendid about what General Hydroponics has done in this product set is it has literally given the world to the hydroponics grower, and in the process, users will be able to maximize their yields, protect their crops from disease, and improve the return to their investments in a matter of weeks. A true gift to the world of hydroponics, this earthshaking collection of nutrients deserves an in-depth review, indeed. Let’s see what hydroponics growers should expect when they get a General Hydroponics General Organics Go Box. BioThrive Bloom is a 100% vegan plant food, containing purely plant-derived organic sources of nutrition for all kinds of plants. Briefly, your plants will be getting a huge dosing of trace elements, seaweed, and natural plant extracts whenever you add this to your hydroponics system. 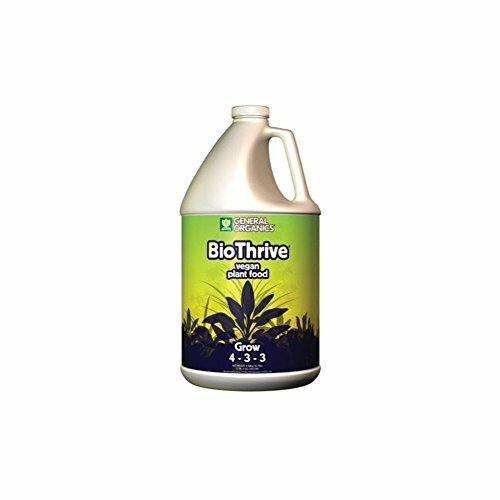 BioThrive Bloom has been specially engineered to boost the production of flowers and seeds, which is essential for both the current growing season and selecting viable seeds for the next growing season. This formulation should be applied toward the end of the growing season, during that crucial period when the plant is wrapping up its growth cycle and finishing off with bountiful flowers and fruits. If you have ever wanted to cultivate more fragrant flowers with lots of essential oils, use BioThrive Bloom. It’s a fact of life: plants can bloom on their own, but getting them to bloom the way we want is a completely different proposition altogether. 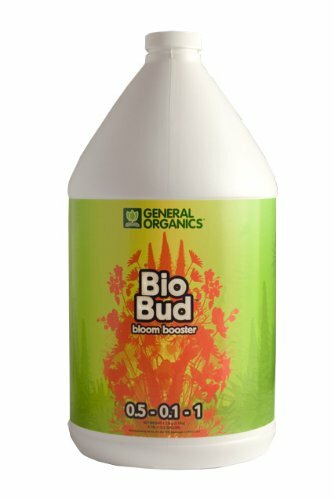 BioBud Bloom Booster is specifically designed to focus on the development of blooms and buds, which is a complicated matter on its own. When you take that crucial step in boosting the blooming process, you will get a much better harvest, with a most desirable bonus: the aroma of your crops will improve that much, too. BioBud Bloom Booster can also be used with an existing fertilizer (because it’s designed for boosting blooms) and is also suitable for more conventional soil garden setups. Differing growing media in hydroponics systems will not affect its effectiveness. Once used, you can expect your crops to produce denser floral clusters, many fruits, too. To apply, simply mix in BioBud Bloom Booster in the water or soil throughout the fruiting and flowering period. BioThrive Grow is first of a two-part system within the larger Go Box setup that is designed to meet the needs of young plants. Admittedly, tending to young plants can be stressful to many hydroponics growers because it is so easy to mess up, and you can end up with a mass die-off of young plants and you would not really know what hit your hydroponics patch. BioThrive Grow eliminates the need for guesswork early on the growing season and will help cement better yields later on. The formula is fit for every stage of growth of plants, so if you happen to have been using a different liquid fertilizer prior to obtaining the Go Box, you can still apply it. It works on the roots of the plants, making the root structure more robust and less likely to suffer from root disease. You can also expect increased flowering, more essential oils, and there will be more fruits, too, if your crops are fruit-bearing plants. 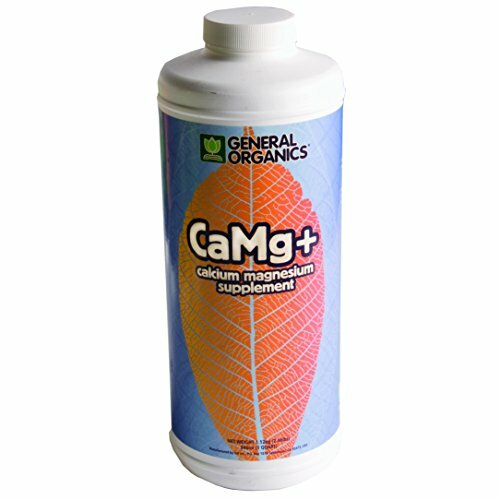 CaMg+ Plant Nutrition is a highly specific plant booster that provides high levels of calcium and magnesium to a hydroponics system. The keyword here is plant optimization, as CaMg+ supports the production of disease-resistant flowers and fruits. The big difference between CaMg+ Plant Nutrition and trying to get the same level of nutrition from other liquid fertilizers is that the manufacturer (General Hydroponics) has already performed the painstaking task of balancing the ratio of these two essential nutrients, so all you have to do is combine CaMg+ with the rest of the Go Box constituents, and you will be set to go. No guessing, no problems! Just mix the nutrient solution in and watch your plants thrive in your hydroponics system. If your hydroponics setup uses hydroton rocks, coconut coir, rockwool, or any of the conventional media for hydroponics, use CaMg+ as hydroponics media do not naturally possess these nutrients, as opposed to soil, which naturally has calcium and magnesium. BioRoot is another specialized formulation, this time supporting the formation of structurally sound and damage-resistant roots. The root structures of growth plugs or newly germinated plants are highly susceptible to injury, especially during transplantation. BioRoot will help your plugs survive the transplantation and it will also help your plants develop dense root mats that will reach deep into the reservoir or flowing stream, so it will be able to collect sufficient nutrients, 24 hours a day. BioRoot Root Booster is comprised of plant-derived nutrients, plus sea kelp (that helps improve nutrient uptake), and mined minerals. Mined minerals are further improved with mineral derivatives that are more appropriate for the absorption under hydroponics conditions. Use BioRoot if you are dealing with seedlings, plugs, and cuttings – all phases of plant growth with vulnerable root growths. This root-boosting formula can also be used for potted plants and other conventional soil setups, and it will provide the same amount of support to the plants, wherever they happen to be planted. Powerful, and a general nutrient solution for a wide variety of crops, BioMarine builds upon the tradition of General Hydroponics of giving plants exactly what they need and in the correct ratios, to increase the productivity of hydroponics systems and to prevent plant die-off. In contrast with other liquid fertilizers that have been derived from worm castings of bat guano, BioMarine is one of the few highly acclaimed fertilizers in the market that is made with squid. The huge benefit of using squid-derived nutrients is your plants will receive immense support during the early stages of development (with focus on root development) and in the later stages, where foliage growth becomes a focal point in the growth of crops. BioMarine can be used as a stand-alone nutrient support for plants in all phases of development, from germinating seedling stage to 2 weeks prior to harvest. Add BioMarine to further improve yields in conventional gardening setups that have been created with soil rich in organic nutrients already, to double the positive impact on your crops. BioWeed Vitality Booster is one of the few, cold-processed liquid fertilizers in the market today that contains pure sea kelp. Sea kelp has been traditionally used to improve the vigorousness of plant growth, especially during the vegetative stage and the few weeks until harvest time. Use BioWeed Vitality Booster to make your crops grow bigger, denser, with more crop per square inch than you previously thought was possible. And the best thing about BioWeed is that you can use it in conjunction with other existing liquid fertilizers in your system, so no liquid fertilizer goes to waste. This fertilizer is ideal for both soil/soilless systems, and will also support the continuous formation of robust and wide-reaching root mats for better nutrient uptake. Finally, if you have ever wanted to test out foliar spraying or foliar feeding on your crops, now would be a good time to do it. There is no need to mix another liquid fertilizer with BioWeed. Use it as a standalone foliar feeding solution and watch your crops bloom hard like never before. Diamond Black for Plants (also called Diamond Nectar) is focused on increasing the capability of plants to absorb nutrients. To clarify the process, we need to understand that nutrient availability in the reservoir is different from nutrient uptake, or bioavailability. Nutrient uptake is the capacity of the plants themselves to absorb the nutrients. If you are familiar with nutrient deficiencies in plants, then you will know exactly what we mean here. When a plant is unable to absorb nutrients properly, it will develop deficiencies. This may result in yellow leaves, poor foliage growth, yellowing stems, weak root formation, root rot, and many more. Essentially, you need to make sure that your crops are actually getting all the nutrients that you are adding to the water. How does Diamond Black/Diamond Nectar help plants absorb nutrients? It does so through the process of mineral chelation. Diamond Black is also pH adjusted to 5.8 to 6.2, which is an ideal range for continuous plant growth. Diamond Black serves as a transport station for nutrients, and helps deliver nutrients to your crops effectively, and efficiently. Diamond Black is an ideal formulation that can be used for both conventional gardening setups, and hydroponics setups. Use this whatever medium you may be using, and it will definitely help you achieve better results if you are already applying a liquid fertilizer previously.